If you ask me if there's a makeup item that I think I'll never have enough of, I would say, foundations! I only have one face but I think I have around 20 foundations in my kit. Oh yes, I kid you not! 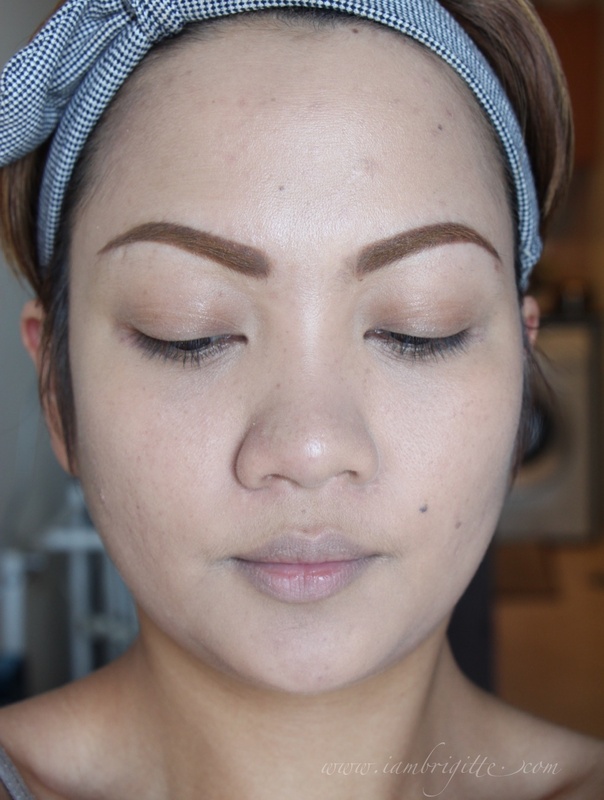 Well, it all started when I was still doing makeup on clients. I have to make sure that I have a foundation for most, if not all, skin types. And you know that if you are a makeup artist, one shade of each kind is never enough. You should have at least three - light, medium and dark. Now that I only do makeup on myself (and on my friends on some occasions), you might say that my "addiction" to collecting foundations might have stopped. Engk, wrong! Hahaha! And if before, I lean towards high-end brands when it comes to foundations, I have recently realized that even those that we call drugstore makeup also deserves a spot in my makeup arsenal. One of the drugstore makeup brands that I am loving is Bourjois. 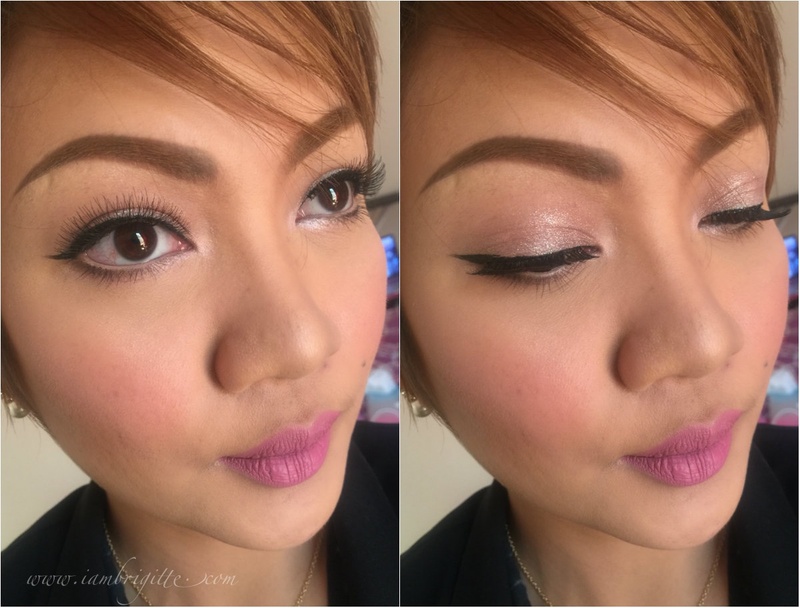 Aside from their lippies and their eyeliners, their foundations are also good. 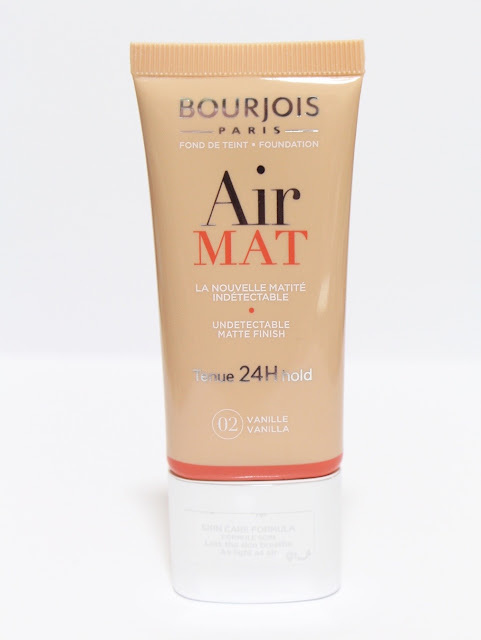 I was sent a sample of their new AirMat Foundation and have been loving it ever since. 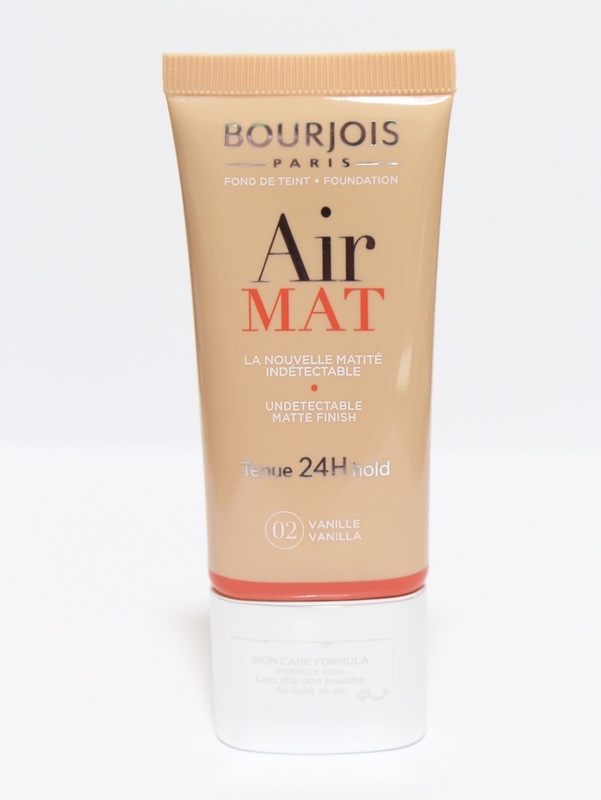 Specially developed to give skin a smooth, matte finish, this foundation also promises a 24-hr hold. It's non-drying, lightweight formula promises to let skin breathe throughout the day and provide high coverage for a flawless finish. It is also enriched with mattifying micronized powders to eliminate shine with no mask effect for an undetectable result. The packaging itself is lightweight and not prone to breakage (a big YAY for me!). It comes in an easy-to-squeeze tube that lets you get just the right amount of product each time. 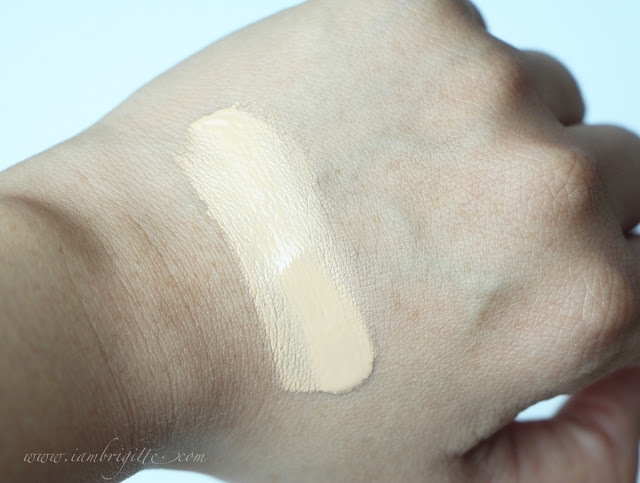 I got the shade 02 Vanilla and I thought it's going to be so much lighter on me. Well it is right after application but since I am acidic, it matches my skin tone after it sets. A wee bit lighter still, but nothing that a light dusting of a darker shade of powder won't be able to take care of. See that the right side of my face has evened out? 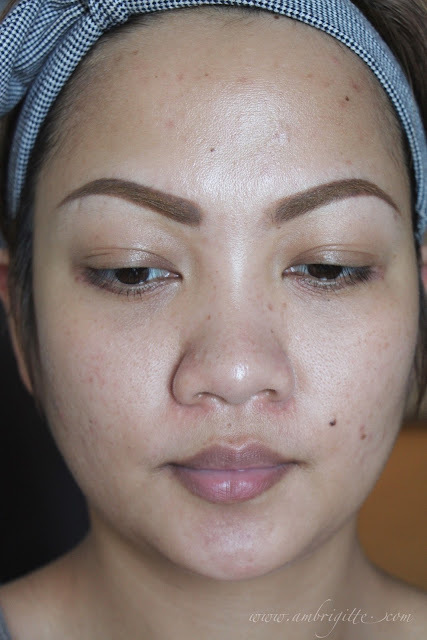 It was also able to take care of some of the redness but if you need more coverage, you'd be needing a separate concealer for problem areas. 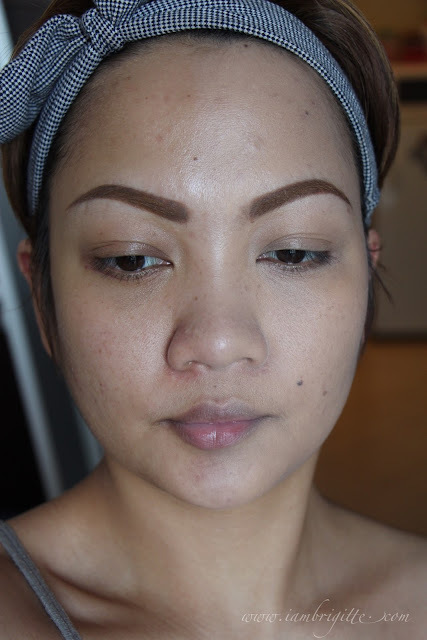 Still no concealer used, but I added an additional layer of foundation on the sides of my nose, eye area and the cheeks area where I have most of the pimple marks. 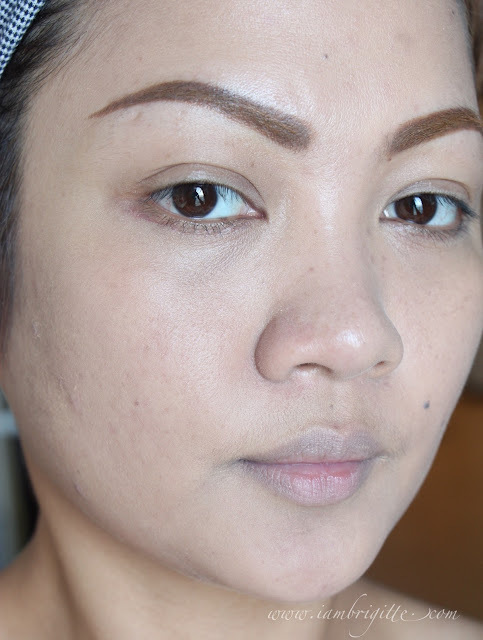 A closer look: skin still looking like skin even with makeup. 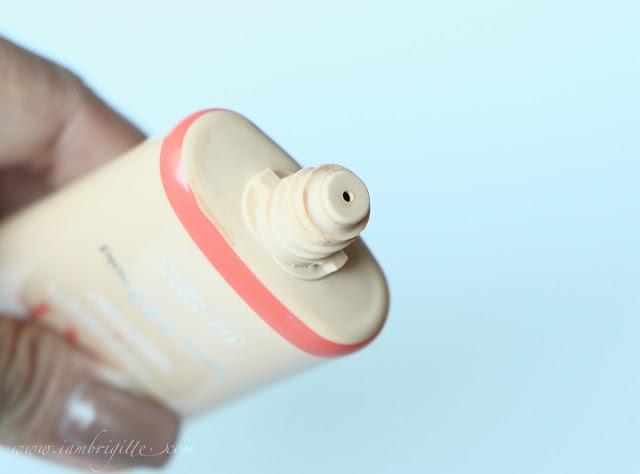 This foundation doesn't really need a powder to set it but if you tend to get very oily, then by all means, set with powder. 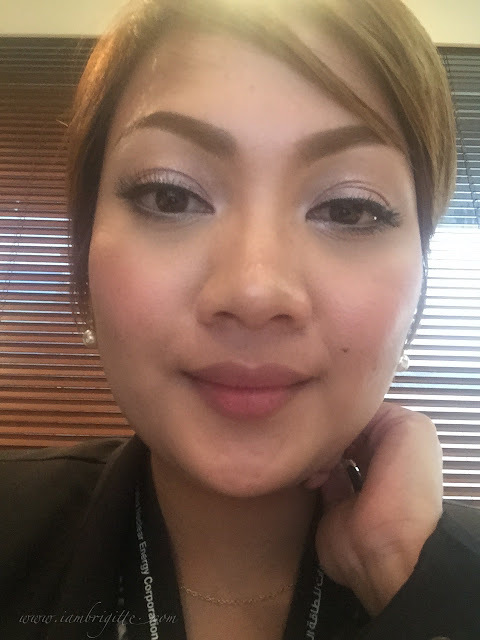 For testing purposes, I didn't set my face with powder. I have oily skin and I usually get more oil on my t-zone. Instead of retouching, I just blot the oilies away. Take note that I didn't retouch or powdered, I just used an oil-blotting sheet once. I didn't let the makeup stay on for 24hrs so I can't attest on their 24hr promise but, the makeup is indeed longwearing. I am oily and didn't apply a primer underneath but it stayed put on my face. 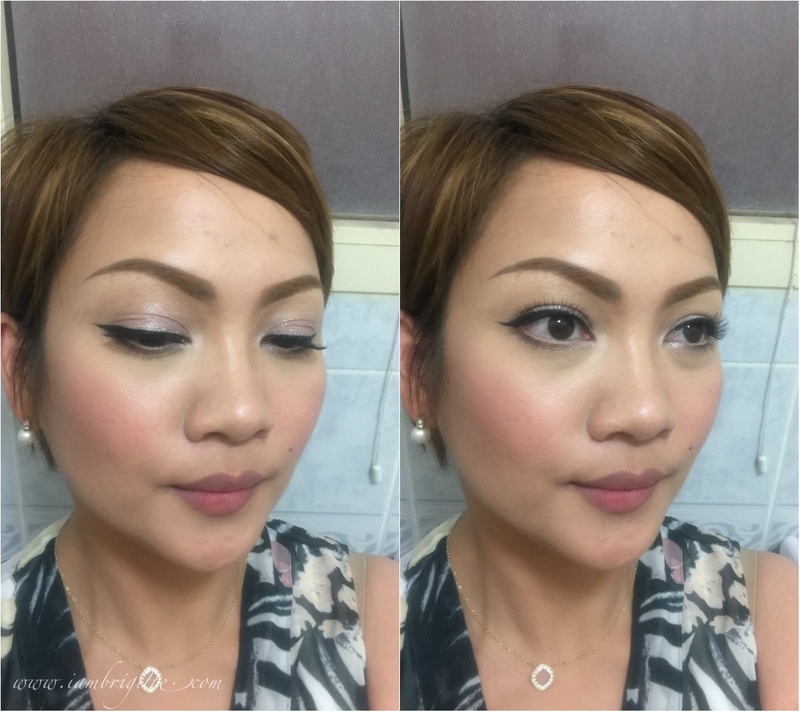 It is indeed lightweight, easy to apply and blend (I usually use my RT buffing brush and sometimes my fingers) and easy to take off too. 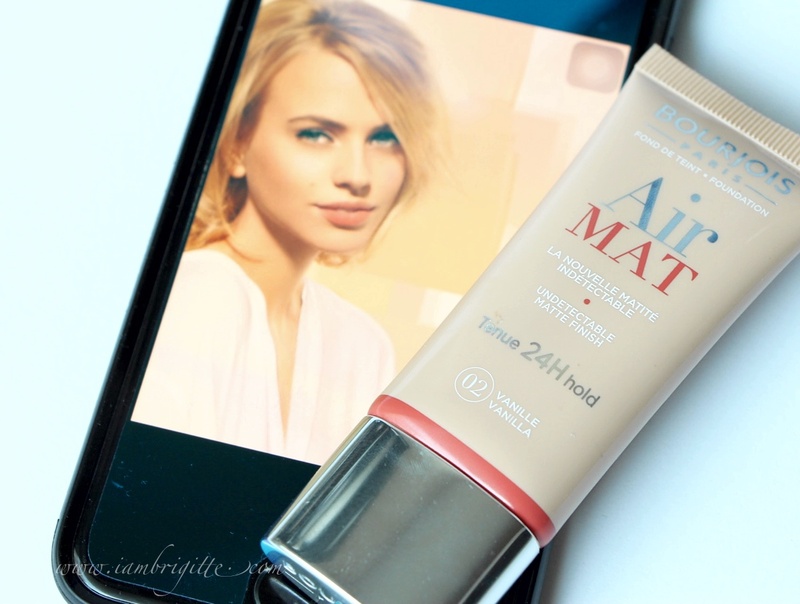 It doesn't settle on lines and pores which I absolutely hate on some mattifying foundations that I have tried. If you have dry skin, make sure to moisturize first because I feel like it will highlight drier skin areas. I also noticed that no matter how much you layer, this baby won't make you look cakey at all! That definitely deserves a two-thumbs up! This foundation reminds me of the Revlon Nearly Naked foundation which I have tried and used for a time in the past. Now that's the problem with having too much foundation, sometimes it's too much of a struggle to decide which one to use every day. So yes, I don't think I'd be able to finish a foundation ever in my lifetime. Hahaha! What's there not to like? For me, absolutely nothing. I've been using it on most days since I got it and I didn't get any allergic reactions ever. So yeah, I couldn't think of any. Should there be any, I'll keep you posted.